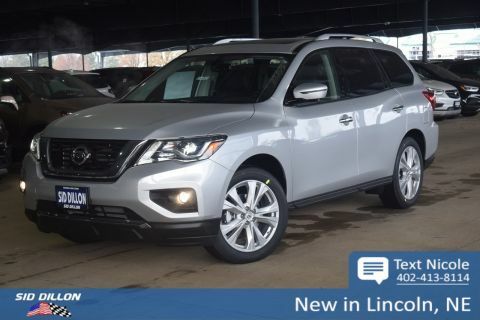 Tried-and-true, this 2019 Nissan Pathfinder SL makes room for the whole team. 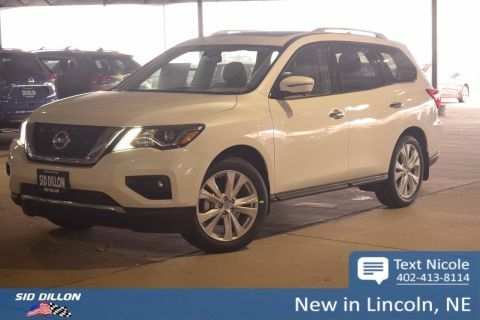 Tire Specific Low Tire Pressure Warning, Side Impact Beams, Right Side Camera, Rear Parking Sensors, Rear Child Safety Locks. [P01] SL PREMIUM PACKAGE -inc: Trailer Hitch Receiver w/Integrated Finisher, Bose Premium Audio System, 13 speakers, A-pillar speakers, D-pillar speakers, center channel speaker and dual-speaker subwoofer, Trailer Towing Harness, Wheels: 20 x 7.5 J Black Painted Alloy, Power Panoramic Moonroof, one-touch tilt/open/close controls (front), sunshade and rear roof glass w/power sunshade, Tires: 235/55R20 All-Season, BRILLIANT SILVER METALLIC, [P01] SL PREMIUM PACKAGE -inc: Trailer Hitch Receiver w/Integrated Finisher, Bose Premium Audio System, 13 speakers, A-pillar speakers, D-pillar speakers, center channel speaker and dual-speaker subwoofer, Trailer Towing Harness, Wheels: 20 x 7.5 J Black Painted Alloy, Power Panoramic Moonroof, one-touch tilt/open/close controls (front), sunshade and rear roof glass w/power sunshade, Tires: 235/55R20 All-Season, [L92] CARPETED FLOOR MATS (4-PC SET) -inc: 1st, 2nd and 3rd rows, [B10] BLACK MOLD-IN-COLOR SPLASH GUARDS, Window Grid And Fixed Antenna, Wheels: 18 x 7.5 J Machined Aluminum-Alloy -inc: Medium metallic gray finish. 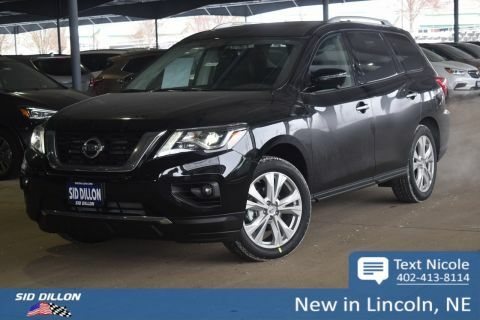 A short visit to Sid Dillon BNH Lincoln located at 2627 Kendra Ln, Lincoln, NE 68512 can get you a tried-and-true Pathfinder today!